Custom printed cups, glassware and more. Helping you build your business. One cup at a time. 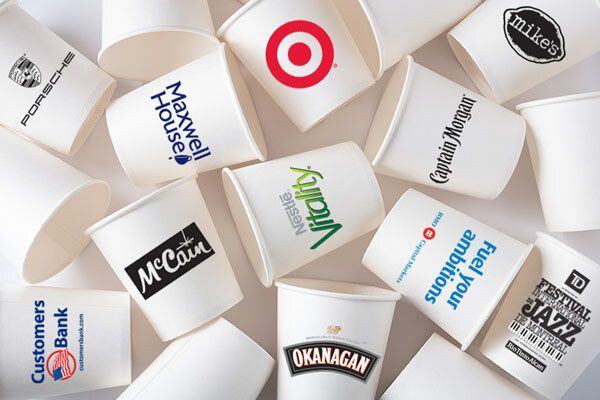 Print your logo on our cups and tell your customers who you are with every delicious sip they take! Nothing is more important to you than growing your business. Our cups will help you promote and build your brand by offering the quality and distinction that will set you apart from your competition. 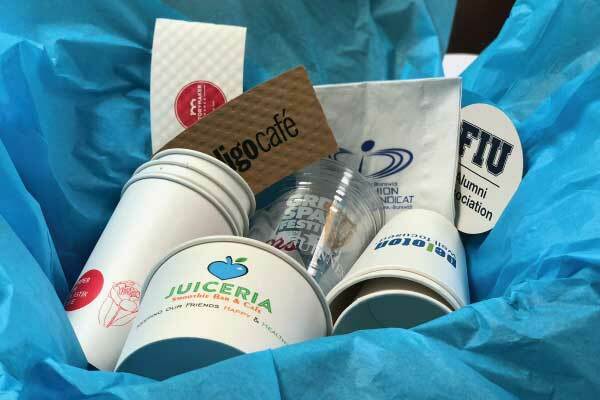 Give everyone a taste of your brand by customizing our eco-friendly paper and plastic sampling cups. 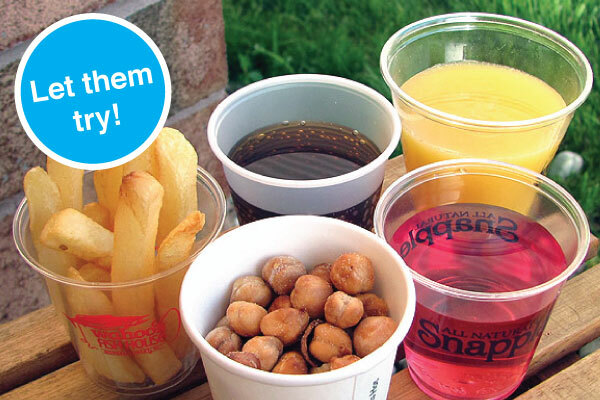 From trade shows to parties, these multi-purpose cups can be used for drinks, snacks and more! The possibilities are endless. Contact us to get started! No job is too big, and the more you buy, the less you pay! Request a quote for your next high-volume order and discover why we're the preferred supplier for some of the leading brewers and beverage producers in the country. Need a Sample? Just Ask! We're always happy to show off our work and high quality products, so if you would like to get your hands on some actual cups, please get in touch. We'll be happy to send you samples so that you can decide which might suit your own needs best! We're Making a Splash with Our Customers! "I love working with The Cup Store! The reps are always so friendly and the service is super fast! The Cup Store has helped a lot with last minute orders and urgent requests, which has been a huge help especially when opening a new café. I would recommend The Cup Store to any individual or company looking for a reliable and efficient supplier!" "The Cup Store team have consistently surpassed our expectations since we've partnered with them to be our cup supplier. Reliable and effective, we always have a great experience in all of our interactive capacities. They've become one of our trusted partners." "Stoked on our new cups from @thecupstore! Can't wait to use these!!!" The Cup Store proudly partners with the advertising and marketing professionals who help their clients grow their business and achieve strong brand recognition. Our extensive experience and printing capabilities allow us to offer OEM clients a wide variety of products and become a trusted collaborator. If you're wondering how to incorporate printed cups into your strategy or would like more info on reseller pricing, give us a call!